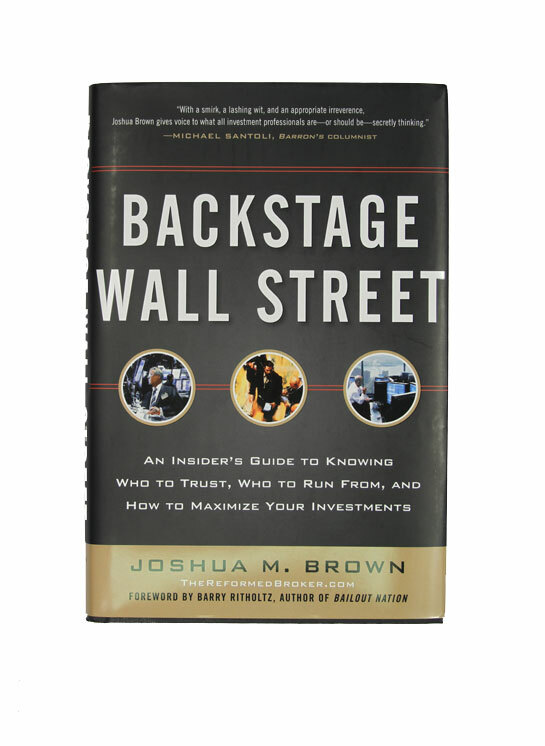 Backstage Wall Street: An Insider’s Guide to Knowing Who to Trust, Who to Run From, and How to Maximize Your Investments - IFA Vintage and Current Book Library - Index Fund Advisors, Inc.
Wall Street is very good at one thing: convincing you to act against your own interests. And there’s no one out there better equipped with the knowledge and moxie to explain how it all works than Josh Brown. A man The New York Times referred to as “the Merchant of Snark” and Barron’s called “pot-stirring and provocative,” Brown worked for 10 years in the industry, a time during which he learned some hard truths about how clients are routinely treated—and how their money is sent on a one-way trip to Wall Street’s coffers.